Broccoli / feta cheese salad! I’m a fan of salads!! 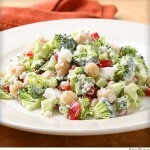 I tried the broccoli feta cheese salad with a light creamy dressing and loved it!! Broccoli is a nutritional superstar! 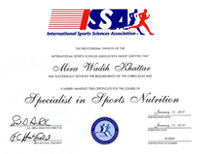 It contains a high amount of potassium, which helps maintain a healthy nervous system and promotes regular muscle growth. It is rich in vitamin C, an antioxidant necessary to increase our immunity.It also prevents any growth of breast, cervical and prostate cancer! Chopped raw broccoli tossed with a creamy dressing, chickpeas and red pepper! Toss and serve at room temperature.